Going 70’s? Not without Pam Grier’s influence. You would’nt dare. Pamela Suzette “Pam” Grier became famous in the early 1970s after starring in a string of moderately successful women in prison and blaxploitation films like The Big Bird Cage (1972), Coffy (1973), Foxy Brown (1974) and Sheba Baby (1975). Her career was revitalized in 1997 after her appearance in Quentin Tarantino’s film Jackie Brown, for which she received a Golden Globe nomination for Best Actress. She has also been nominated for a SAG Award as well as a Satellite Award for her performance in Jackie Brown. Grier is also known for her work on television, for 6 seasons she portrayed Kate ‘Kit’ Porter on the television series The L Word. She received an Emmy Award nomination for her work in the animated program Happily Ever After: Fairy Tales for Every Child. Rotten Tomatoes has ranked her as the second greatest female action heroine in film history and Director Quentin Tarantino remarked that she may have been cinema’s first female action star. 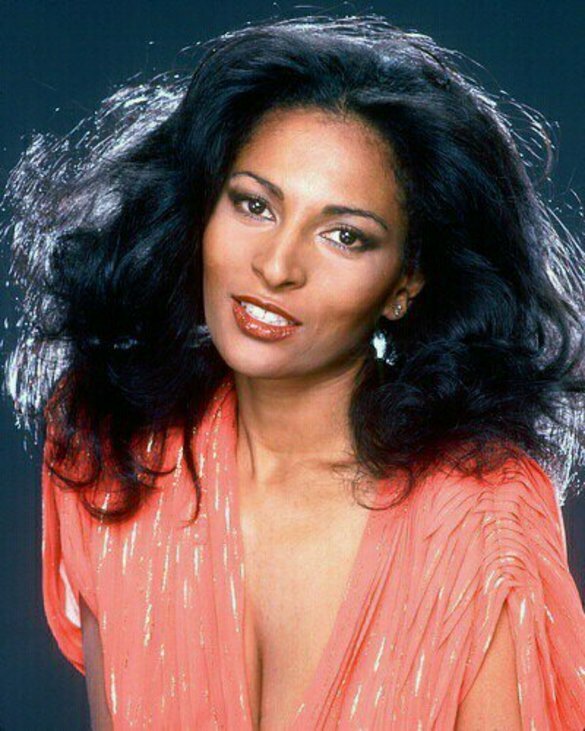 If you’re thinking of going for a timeless 70’s look, Ms. Grier is our go to vixen. From the big feathered curls to her soft afro. We love it and you should too. I can’t talk about myself. I just can’t. I know I’ve influenced people, and I’m proud of that. But as I see it, I really haven’t done anything. I haven’t saved anybody from a burning building. Foxy Brown actually approached me at the start of her career to ask if she could use the name. I told her, ‘You didn’t need to ask.’ If you’re an independent woman, every woman is Foxy Brown. The F’ing lap of Luxury! Ooh, say can you Ciara?